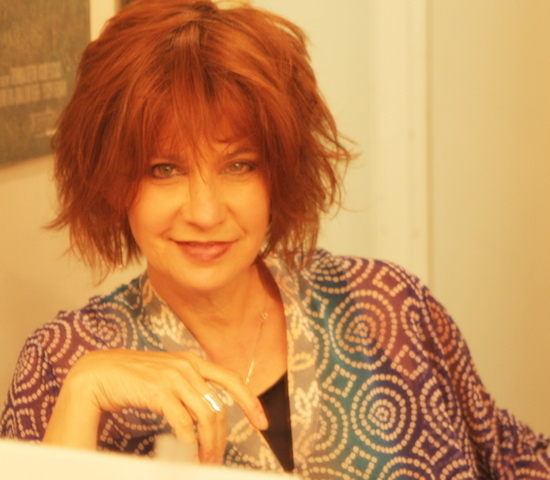 “I love Tennessee Williams’ women, because they are giants with tremendous appetites for life,” shared Obie-award winning actress Gordana Rashovich, as she dined on a dish of fried calamari and sipped a glass of Lillet at Un Deux Trois with cast mates, after her Wednesday night performance as Flora Goforth, in the Roundabout Theatre Company’s production of The Milk Train Doesn’t Stop Here Anymore, by Tennessee Williams, at the Laura Pels Theatre, at the Harold and Miriam Steinberg Center for Theatre. Delighted to be working with director Michael Wilson again, who directed her as Lady Torrance in Orpheus Descending at the Alley Theatre in Houston, Ms. Rashovich can be seen as Flora on Wednesday, March 9th, March 16th, March 23rd and March 30th at 7:30pm. Williams’ haunting drama takes place in Flora’s picturesque Italian mountaintop home, where the wealthy American widow, in denial over her impending demise, has sequestered herself from the world in order to write her memoirs. When Christopher Flanders (Darren Pettie), a handsome and mysterious young poet arrives without warning to keep Flora company in her final hours, this dreamlike play blossoms into a fascinating meditation on life and death. Ms. Rashovich appeared in the Broadway productions of Old Acquaintance, Cymbeline and Conversations with my Father. She received a Drama Desk nomination and Obie Award for playing Luisa, a Holocaust survivor in A Shayna Maidel (Westside Arts Theatre), a role she also played to acclaim in Los Angeles, where she garnered the L.A. Drama Critics Award and the Drama Logue/LA Weekly Award. 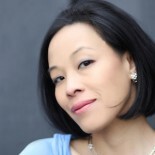 Her New York stage debut in Fefu and Her Friends (American Place Theater), resulted in a Theatre World Award. Other Off-Broadway credits include: The Crucible (Roundabout Theatre Company), Not I (EST), Mr. Melancholy (NY Stage and Film) and The Persians (National Actors Theatre/The Michael Schimmel Center for the Arts at Pace University). 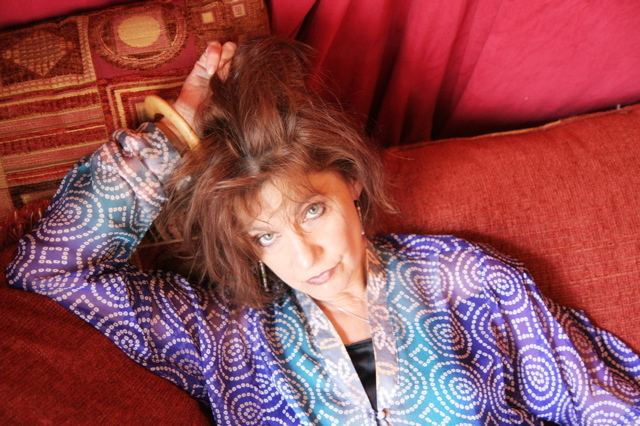 Her regional credits include: Maria Callas in Master Class (Maltz Jupiter Theatre, Denver Center Theatre Company DCTC, Arizona Theatre Co.); Madame Ljubov Ranevsky in The Cherry Orchard and Miss Van Huysen in The Matchmaker (Drama Logue) (ACT), Lady Bracknell in The Importance of Being Earnest , Lady Torrance in Orpheus Descending (Alley Theatre); Blanche in A Streetcar Named Desire (Players Theatre of Columbus); Queen Elizabeth in Richard III, Emilia in Othello, Marie in WOYZECK, Irene Livingston in Light Up The Sky, Morocco (Hartford Stage); Olivia in Twelfth Night (Guthrie Theatre); Mrs. Meany in A Prayer for Owen Meaney; Regina in The Little Foxes, Esme in Amy’s View, Kate in Cripple of Inishmann, Gertrude in Hamlet, Yelena in Uncle Vanya (Denver Center Theatre Company DCTC); and Miss Holroyd in Bell, Book & Candle, Dr. Wu/Sir. 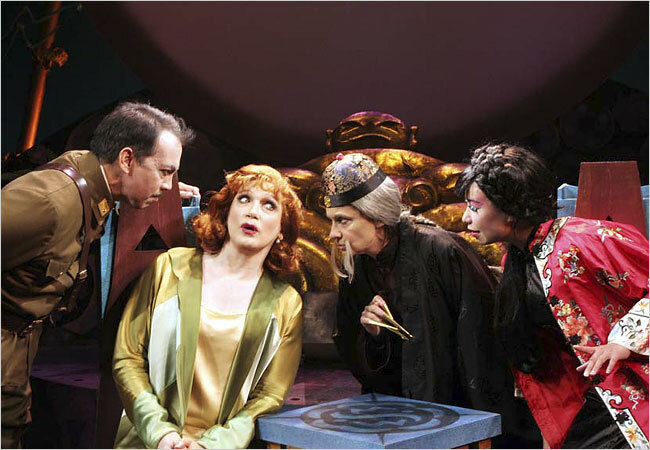 Lionel in Shanghai Moon, Sally Cato/Agnes Gooch in Auntie Mame, both opposite Charles Busch (Bay Street Theatre). Television audiences will be familiar with Ms. Rashovich from her recurring roles as Dr. Greta Gutman on “Mad Men,” Jadwiga on “Whoopi,” The Madame on “The Wire”, Judge Lillian Alverio on “Law & Order Trial by Jury, ” and for her guest starring appearances on “Law & Order: SVU,” “The Trials of Rosie O’Neill,”, “Gracie and Glorie,” “Law and Order,” and “Third Watch.” Her film credits include Doug Bollinger's Waltzing Anna, Adrienne Shelly’s Sudden Manhattan, Kenneth Brannagh’s Dead Again and Michael Cimino’s Heaven’s Gate. Ms. Rashovich is a graduate of the Royal Academy of Dramatic Art, a recipient of the Derek Ware Prize, for stage swordplay w/Shakespeare text and a Vanbrugh Theatre Award. Catch Gordana Rashovich as Flora Goforth in The Milk Train Doesn’t Stop Here Anymore at the Laura Pels Theatre, at the Harold and Miriam Steinberg Center for Theatre, on Wednesday, March 9, March 16, March 23 and March 30 at 7:30pm. Tickets are available by calling Roundabout Ticket Services at (212)719-1300, online at www.roundabouttheatre.org or at the Laura Pels Box Office (111 West 46th St.). $22 rush tickets are available on the day of performance. This entry was posted on March 4, 2011 by Lia Chang in Entertainment, New York, Theater and tagged A Shayna Maidel, A Streetcar Named Desire, Auntie Mame, Backstage Pass with Lia Chang, Brianne Michelle Photography, Brianne Planko, Broadway, Conversations with my Father, Curtis Billings, Cymbeline, Darren Pettie, David C. Woolard, Dead Again, Dr. Greta Gutman, Drama Desk nomination, Edward Hibbert, Elisa Bocanegra, EST, Fefu and Her Friends, Flora Goforth, Gordana Rashovich, Harold and Miriam Steinberg Center for Theatre, Heaven’s Gate, Holocaust survivor, Home for Contemporary Art, Jadwiga, Jeff Cowie, John Gromada, Laura Pels Theatre, Law & Order: SVU, Lia Chang, Mad Men, Maggie Lacey, Master Class, Michael Wilson, Mr. Melancholy (NY Stage and Film, Not I, Obie Award, Old Acquaintance, Orpheus Descending, Richard III, Roundabout Theatre Company, Rui Rita, Springtime, Tennessee Williams, The Crucible, The Little Foxes, The Matchmaker, The Milk Train Doesn’t Stop Here Anymore, The Misanthrope, The Wire, Theatre World Award, Third Time Lucky, Trial by Jury, Whoopi, York Theatre.